Brands can use video to provide more luxurious experience to their followers. Videos also help the followers to get to know the brand better, like them and trust them. Twitter has more than eight hundred million visitors every month. Among these 82% actively engage with brands. More and more video accessed on Twitter and 93% of it is on mobile devices.Breaking news, celebrity news, and entertainment are what people want from the Twitter video. 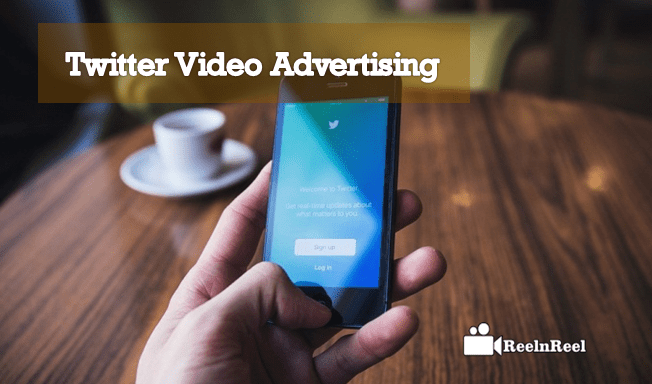 Twitter video ads are the excellent tool for businesses of any size. The Twitter video has proved to make people more aware of the market. Studies also demonstrated that people become more favourable towards the brand. The goal of video marketing campaign for any business is to increase sales and Twitter video advertising increase the higher purchase intentions. Twitter allows posting the video of duration up to 2 minutes and twenty seconds. Thus brands have to plan well what the video Ad will contain and ensure that the video is concise, informative and is entertaining to the audience. Twitter was the last on the list of businesses for video marketing. But now marketers are tapping the potential of it as they understand the tremendous reach of it. Twitter is fast becoming an alternative to YouTube, Facebook, and Vimeo. It is a perfect platform for video marketers to begin their video marketing and monitor the conversation about their brand and products. Find the famous hashtags that the audience follow and include the tags in the tweets with video content. Video ads should tap the emotions. The audience must connect with the video content emotionally. Videos on Twitter should be as short as popular. The audience loves short and sweet videos. Studies have proved that short videos attract more views and audience.Mention the length of the video in the tweet so that the Twitter followers know it and watch the video. Twitter video marketing can be used to generate leads to landing pages. A short video can create, and a link to the main content can included in the tweet. It drives views to the video that uploaded on other platforms such as YouTube. Marketers should try to deliver the message at the beginning of the video itself. They should promote the products and brands in the first few seconds. It happens because there is no guarantee that audience will watch the video until the end. Create multiple short videos and find which one is more effective. Marketers can have numerous calls to action in the tweet. To increase overall reach, promote the same videos with a variety of messages. Try targeting different people with different copies to increase overall views. Brands should pin their latest video to the top of Twitter profile page so that audience who visit the profile will watch it. Have a compelling call to action and drive the followers to watch your video. When using hashtags, find the ones that are relevant. Using a trending hashtag in the video campaign drives traffic and people will talk about it. Adding hashtags expands the reach of the video. Make sure that the videos are informative so that the videos on Twitter perform better. The audience is hooked to the video content when it contains behind the scenes or exclusive content. Use close-ups in the opening shots of the video to grab the attention. Videos that show people in the first few seconds are more likely to be viewed two times more. Use the brand logo at the beginning of the video. Drive higher retention by including people in the first frames of the video. Tell the whole story with the video. Videos with beginning and ending proved to increase viewerships. Maximize viewership with the sound off strategy. Respond to tweets from others with a video. Ask the followers to share their videos of using the product in action. Entertaining videos are shared by audience fifteen times higher. The maximum length of the video that brands can create for Twitter is 150 seconds, and the file size should be up to 512 MB. Twitter supports different video formats and for mobile apps supported video formats are MP4 and MOV. Three various types of video can be used by businesses and brands to promote their products and brands on Twitter. These kinds of videos are instrumental for companies to deliver their messages. Twitter video content plays automatically and so can be used to gain the attention of the new customers. Videos can create directed using a Twitter app or existing video content can be uploaded to the platform. Live video is another powerful tool for businesses to use on Twitter. Behind the scenes, content helps the firms to show to the followers what the market is. Industry events, product launches or product tutorials can create with this. GIFs are another format that can be used by businesses to create marketing content. Followers can retweet them to share the information. More extended video content can cut into GIFs and products can be showcased. Twitter is the very active platform for video marketing. Marketers can see what their competitions are doing and not do. Go through the customer’s complaints about the competitor and find ways to gain an edge over the competitors.